SWLing Post readers may have already heard Brother Stair back on the air this past weekend. Stair was released on January 24 with a $750,000 bail. Click here to read the story at The Post and Courier. Screenshot taken from the Overcomer Ministry website. Click here to listen to Alan Weiner’s recorded show. This entry was posted in News, Shortwave Radio and tagged Allan Weiner Worldwide, Brother Stair, Overcomer Ministry, wbcq on January 30, 2018 by Thomas. 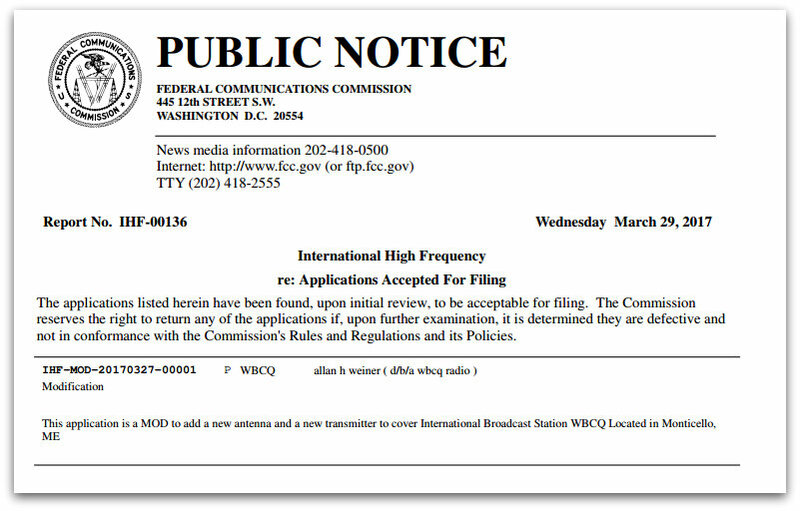 The FCC has just informed Allan Weiner that the military needs our 5110 frequency. So your show on Friday 3/11 (10pm Eastern – midnight) will be broadcast on 9330 and 5130. This entry was posted in Broadcasters, International Broadcasting, News, Schedules and Frequencies, Shortwave Radio and tagged Allan Weiner Worldwide, Paul Walker, wbcq, WBCQ The Planet on February 27, 2016 by Thomas.